The selection of swimming pool lights available today gives homeowners a wide-range of pool lighting design to enhance their luxury swimming pool experience. No longer used solely for functionality and safety, swimming pool lights now offer an unlimited array of decorative pool lighting possibilities to help you create the perfect outdoor oasis for your home. In our latest New Wave Pools blog post, we’ll introduce you to three options for inground pool lighting. 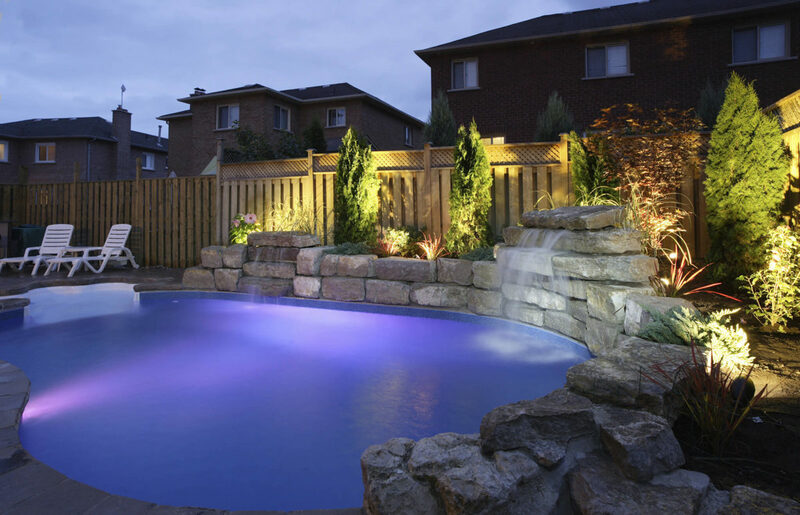 In future posts, we’ll take a more in-depth look at swimming pool lighting options and how to create a custom ambiance in your backyard with pool lighting designs. One of the more popular swimming pool lights options, LED pool lights offer homeowners a more energy efficient lighting option than incandescent pool lights. LED lights are more expensive when it comes to upfront costs. But over the long run, they save money by lowering operational costs. When it comes to custom lighting design for your pool, LED pool lights create rich, vibrant colors and beautiful light shows underwater. LED lamps cover all colors of the color spectrum are durable and long-lasting. The design options with LED swimming pool lights and their cost-savings benefits make these lights an excellent choice for a new pool or when renovating your swimming pool. Fiber optics have a number of advantages as a light source. When it comes to swimming pool lights, fiber optic pool lights are safe for underwater lighting and the pool lights also do not get hot. Much like concrete swimming pools, flexibility of design is a big advantage of fiber optic swimming pool lights. One popular fiber optic pool lighting design is to run side glow fibers along the perimeter of the pool creating an effect that resembles neon lighting. You can also use “end glow”; fiber optic swimming pool lights, which are often shorter and brighter than side glow fibers, for underwater lighting and to create bright spots of light. And if your luxury swimming pool has water features like fountains or waterfalls, lighting designs with fiber optics will illuminate these features with beautiful effects. Solar pool lights for inground pools are the most energy-efficient of the three swimming pool lights mentioned in this blog post. You must consider, however, that these lights will not illuminate as the sun goes down if they do not get enough sunlight during the day. For that reason, solar pool lights are an excellent choice for decorative accents, but not a good choice for your sole option of pool illumination for functionality or safety. As we mentioned, adding solar lights to accent your custom pool lighting design is an excellent choice for these pool lights. They come in all colors, a wide-range of shapes and can be used both in and out of the pool. Some of the favorite solar swimming pool lights are ones which float in the pool. At night, these floating pool lights will enhance any custom luxury swimming pool lighting design. Remember, as many of your pool lights will be underwater, it is important to consider your pool lighting design while creating your overall custom swimming pool design. Once you have your inground concrete swimming pool and pool deck designed, you can always come back later and add other swimming pool lights as accents to enhance the ambiance of your backyard oasis. Want to learn more about your pool lighting options? 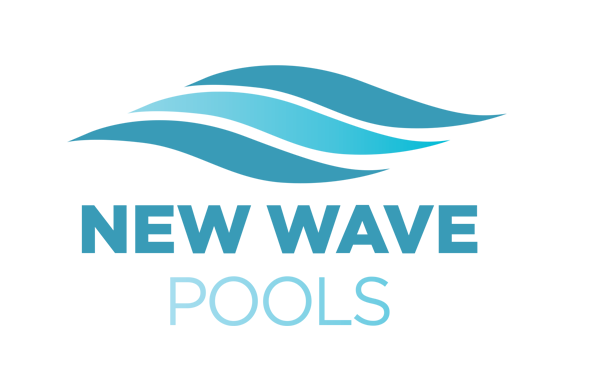 Contact us at New Wave Pools of South Carolina and we’ll be glad to help.